I can’t believe that it’s my last weekend at home! To make my last weekend a little more special- my dear friend Suzanne flew in from Nashville and my college friends, Amy and Deena drove in from Fayetteville to spend the afternoon with me. We had a fantastic lunch made by the best chef in Fort Smith, my Mom! 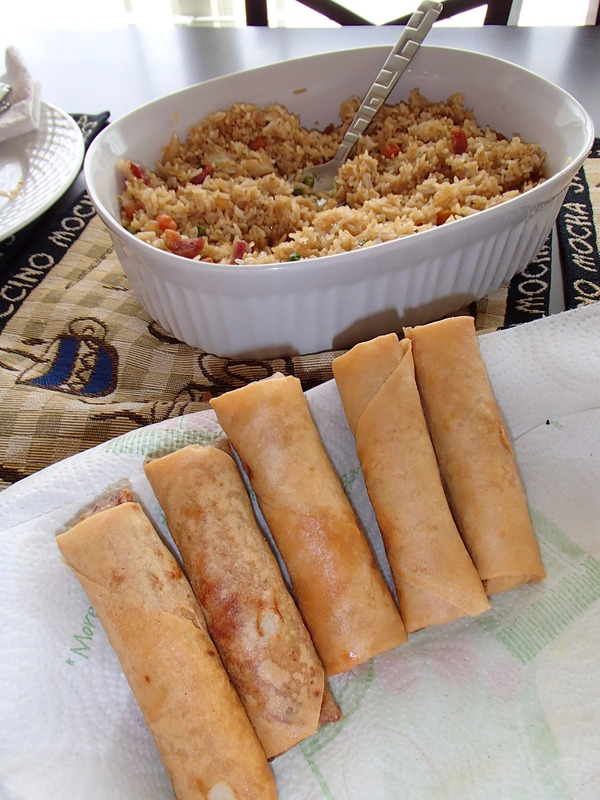 We had homemade egg rolls, fried rice, green beans with shrimp, and a vegetable platter. Boy will I miss my Mom’s incredible cooking. Do you ever crave your Mom’s cooking? Later that evening, Sam took Suzanne and I to the Fort Smith Symphony’s Evening Serenade performance. Before we went to the symphony, we had dinner at R&R Curry Express which was always delicious. My favorite dish there is the Shahi Korma and I will definitely miss Raj and his staff. We came home only to be greeted by my little sister, Tiffany and her boyfriend John! Sunday morning was spent going to church with my parents. The entire congregation will be praying for me as I depart and their supportive means so much to me. Sam and I spent the afternoon going to the Regional Art Museum (RAM) where we viewed “The Secrets of Mona Lisa” Exhibition which was fascinating. Having seen the original in The Louvre, it was amazing to see how French enginner, Pascal Cotte, scanned the painting with a 240-megapixel Multi-spectral Imaging Camera he invented to uncover twenty-five secrets about the Mona Lisa! I won’t spoil it for you so you can go see it for yourself when you are in Fort Smith! No matter where you are, there is always something new to learn. I love that my hometown has an incredible exhibition that is not to be missed! « My Awesome Mentor Brian!